Non-recyclable plastic pouches have taken over the world. Is recycling them the solution? Not so long ago, pretty much all baby food came in jars, pet food came in cans and boxes, and frozen vegetables and trail mix came in bags — and you could recycle that packaging. Now those products are often sold in convenient, resealable plastic pouches that generally can't go in the recycling bin. The story of the standup pouch, as it's called, shows how innovation in packaging can sometimes come with some big environmental challenges. But as the industry grows — the global standup pouch market was worth $22.74 billion US in 2016 and is expected to nearly double to $40.65 billion in 2022, according to the marketing firm Stratistics​ MRC — there are people working on solutions. 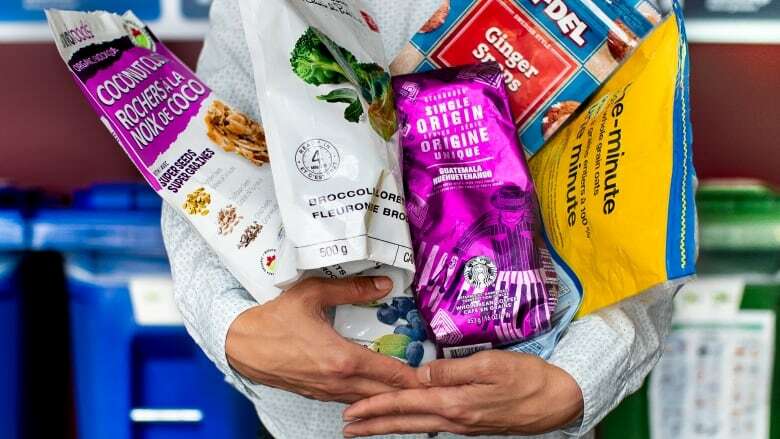 British Columbia recently launched a pilot program to collect standup pouches and other flexible plastic packaging, like chip bags, at grocery stores and other locations so they can figure out how to best recycle them. And some manufacturers, including a Canadian company, have recently come out with biodegradable and recyclable versions. The recyclable pouches can theoretically be dropped off at supermarkets across the country. But those efforts themselves also show that finding ways to recycle new types of packaging is harder than it looks. Layfield Flexible Packaging, a Canadian company that makes standup plastic pouches at its factory in Richmond, B.C., mainly sells its products for medical uses, such as blood bags, as well as for food and consumer packaging. According to company president Mark Rose, there are good reasons — including environmental ones — why pouches have come to replace so many aluminum cans, glass jars, and hard plastic containers. For one thing, they're lighter and use less material, saving energy and costs on manufacturing and transportation. Other benefits arise from the fact they're made by layering different kinds of plastics, each with unique advantages. "You get these super-characteristics when you combine the plastics together," said Rose, whose father started the company. At Layfield's factory, huge sheets of polyester feed through a printer that covers them in crisp images of bright-eyed dogs and text with the branding, ingredients and nutritional information. Polyester holds the ink well and keeps oxygen out, so the dog food stays fresher. Next, those sheets reel through a machine that laminates them to polyethylene, which keeps out moisture. A third, metal-coated plastic layer keeps out light that would otherwise speed up spoilage. The result is a convenient, resealable package that keeps food fresh, reducing food waste that can itself cause greenhouse gas emissions, Rose said. And the packaging is appealing and rigid enough to stand up on a shelf — helping to market the product. The downside? Because it's made of layers of different materials, it's not recyclable. "You're not going to pull apart that glue at any recycling facility," Rose said. Nor is melting it down going to help, since the different plastics have completely different melting temperatures. 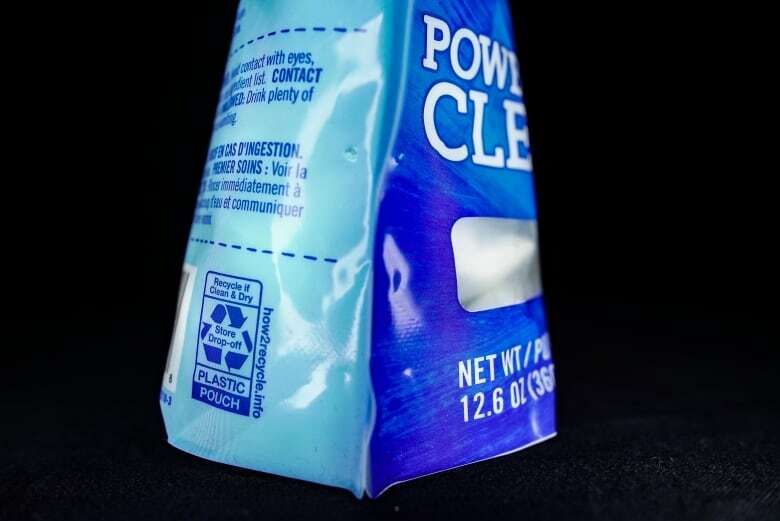 Small quantities of some specific standup pouches are currently being recycled: They're collected through manufacturer-funded programs and turned into plastic lumber through a company called TerraCycle. But what should be done with the rest is a growing challenge, given the popularity of the pouches. While Rose is convinced that plastic pouches are still more environmentally friendly than other kinds of packaging, he has spent years trying to develop versions that are greener to dispose — partly at the request of customers. "Even though a plastic pouch is the most sustainable option we have currently available, people still seem to want more," he said. 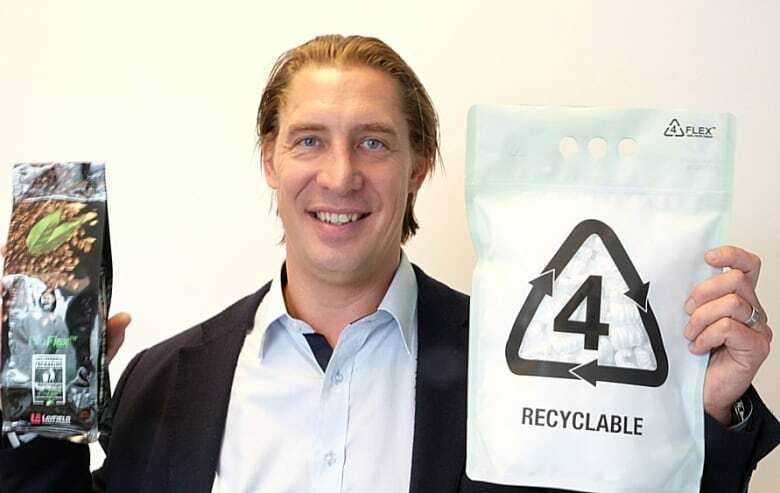 This spring, his company launched two kinds of recyclable pouches: Each contains only one kind of plastic — either polyethylene or polypropylene. Similar recyclable pouches have previously been put on the market by other companies, including Dow Chemical, Accredo Packaging and Amcor Flexibles, which are using them to package Seventh Generation and Method dishwasher detergent. One of the reasons recyclable pouches aren't widely used is that it's hard to make them stiff and puncture resistant, with a clear window in front — qualities many brands want, Rose said. Still, Rose said he's excited about his own company's new recyclable pouches. But another challenge is that being recyclable doesn't automatically mean they'll get recycled, as blue bin programs generally aren't set up to deal with the pouches. Curbside recycling is typically sent to a sorting facility where flat objects, like empty standup pouches, end up in the paper stream — a "contamination" that is then sent to the landfill, according to the PAC Packaging Consortium. When B.C. 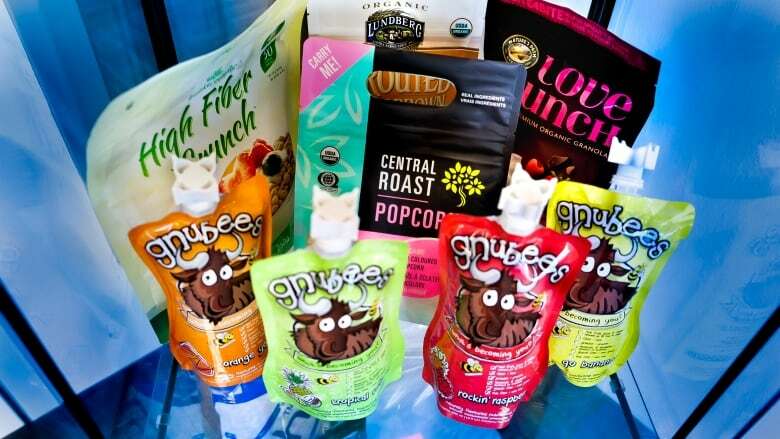 's pilot program started accepting standup pouches and other "flexible plastic packaging" in June, it required consumers to drop them off at depots. The program is trying to find ways to recover the plastic, including research and development into finding a enzyme or catalyst that will help, said Allen Langdon, who until recently was the managing director of Recycle BC and was interviewed by CBC before taking a new position at Encorp Pacific, an organization that runs another B.C. recycling program. What can't be recovered will be turned into energy pellets that will be burned as a replacement for coal or diesel at the province's industrial sites, like cement kilns. The recyclable Seventh Generation and Method pouches — part of a program called How2Recycle that verifies that such products are, indeed, recyclable — also bear labels asking consumers to return them to drop-off locations. How2Recycle's online directory of drop-off locations includes many sites in Canada, including Whole Foods, Safeway, Metro and Loblaws locations. But when CBC News contacted half a dozen of those locations, most said they didn't accept the pouches. The drop-off bins at many of the stores in Toronto were labelled "plastic bags only." 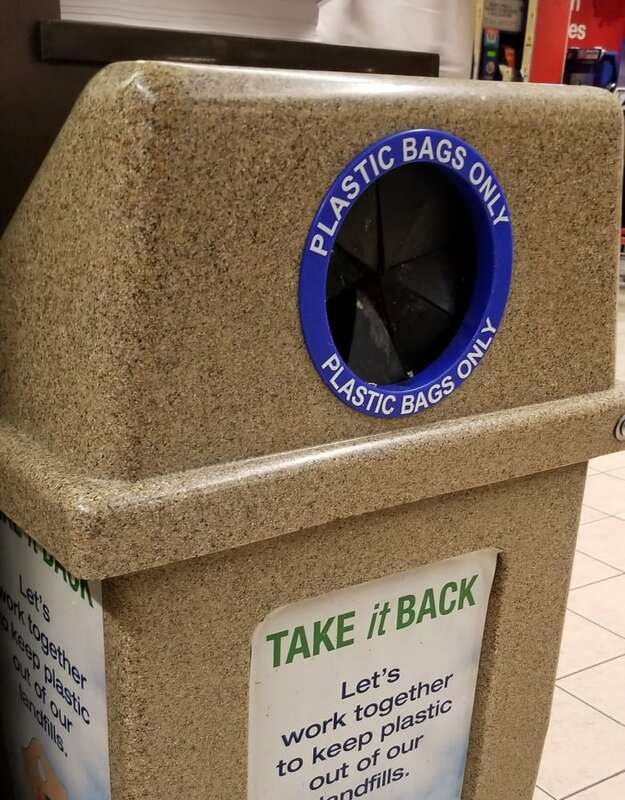 Most stores in How2Recycle's directory will be able to accept different kinds of polyethylene-based bags, wraps and films, including recyclable standup pouches, said program assistant Jessica Edington. They're all effectively the same material — polyethylene film — so a company that processes that material should be able to handle different forms of it. But Edington said How2Recycle doesn't work directly with stores to set up the locations, so consumers do need to check with their local store to make sure they're "not putting things in that might contaminate that specific program." All of these factors make it very complicated and confusing for consumers. And that's not how it should be, says Jamie Rhodes, program director for Upstream, a U.S. non-profit based in Rhode Island that ran a campaign against standup pouches in 2014. He thinks the onus should be on the manufacturers marketing the packaging as recyclable to ensure it is actually recycled. "If they're making the claim this is a recyclable pouch, but they're not willing to invest in the system to actually collect and recycle it, then their claim is just greenwashing," he said. 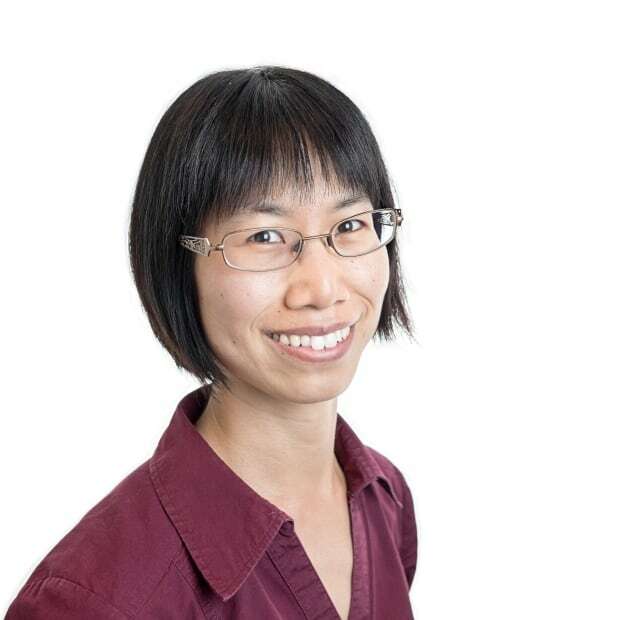 Rose, of Layfield Flexible Packaging, acknowledges it's hard to efficiently collect standup pouches, given how light they are and the fact that recyclables are sold by the tonne. "It may not be environmentally advantageous to recycle it," he said. "I still think, at some point in time, that standup pouch is going to end up in a landfill." He thinks a better solution is a special kind of plastic he's developed called Bioflex. Pouches made with Bioflex are designed to decompose in a landfill within 10 years, generating gases that can be collected and burned as fuel. But he admits customers are not as enthusiastic about that as they are about the recyclable pouches. Ultimately, Rhodes says, waste systems need to change so that manufacturers are fully responsible for managing the packaging they produce at the end of its life — whether or not that involves recycling. But that's only part of the solution, according to Rhodes, who thinks people must also reduce their reliance on single-use plastics, especially when alternatives are available. "I don't think we can recycle our way out of this problem." An earlier version of this story said Allen Langdon is managing director of RecycleBC as that was his position when CBC interviewed him. He's now president and CEO of Encorp Pacific, an organization that runs another B.C. recycling program. The earlier version also misstated the title of Mark Rose, who is now the president of Layfield Flexible Packaging, not the vice-president.